Comprehensive Future campaigns for fair school admission policies in England. The campaign is non party political and open to all. It has the support of school staff, governors, parents, members of both Houses of Parliament, local councilors, academics and other public figures who want quality schools. This website includes interesting publications, personal stories, and a section to answer parent questions. Education Perspectives is a blog by John Mountford who writes about testing and other education issues in England and beyond. The post is also called Ordinary Voices. Francis Gilbert was educated at Sussex University, Cambridge University and completed an MA in Creative Writing at the University Of East Anglia, studying under Malcolm Bradbury and Rose Tremain. He published Working The System — How To Get The Very Best State Education For Your Child in 2009 and more recently has published a series of study guides. There is a lot here about publishing books, English literature and schools. Also check out his blog! Let’s Think is a classroom teaching approach that has its roots in Cognitive Acceleration, first developed in the 1980′s at King’s College, London by Michael Shayer and Philip Adey. This program uses Piagetian and Vygotsky research and focuses on questioning, collaborative work, problem solving, independent learning, metacognition and challenge. I need to explore this website more, but it is full of interesting suggestions that might be helpful for parents and teachers. Local Schools Network provides a variety of current articles describing school issues, including discussions about the school reforms taking place in England. 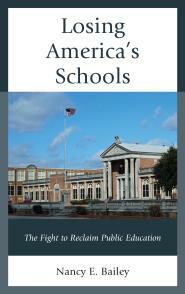 Learn about schools and academies (like our charter schools). While this is a critical blog for those living there, it is also valuable for Americans and those in other countries to understand. It is important to compare our countries to the kinds of reforms taking place and the reactions of the parents and educators to those reforms. Looking at similarities and differences is enlightening. Ordinary Voices is a website dealing with the governance and strategic planning of England’s education system. Educator John Mountford is behind the website which reveals problems with education in England. 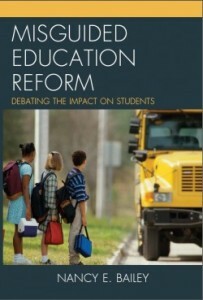 The difficulties found in the education there mirror the problematic reforms involving America’s education system. Othmar’s Trombone is a blog by a U.K. English teacher discussing many education topics including a glossary of U.K. education words. Roger Titcombe’s Learning Matters Describes what’s happening in England’s schools and is a complementary blog to Roger’s book listed below. Many fine topics about the problems facing schools in England and you will see similarities to schools in other countries. Working Families has news and events, blogs, and more dealing with “working families in the UK’s leading work-life balance organisation.” It has a section concerning support for parents whose children have disabilities and how employers can support employees with childcare needs.